Founded in 2013 the association aims at establishing an alumni network and at promoting computer science in research, science, study, and teaching. Here you’ll find additional information about the association, about job offers and, of course, the membership application form. 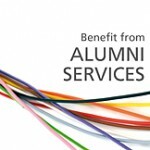 In addition you may want to get to know the alumni network of Johannes Gutenberg University.